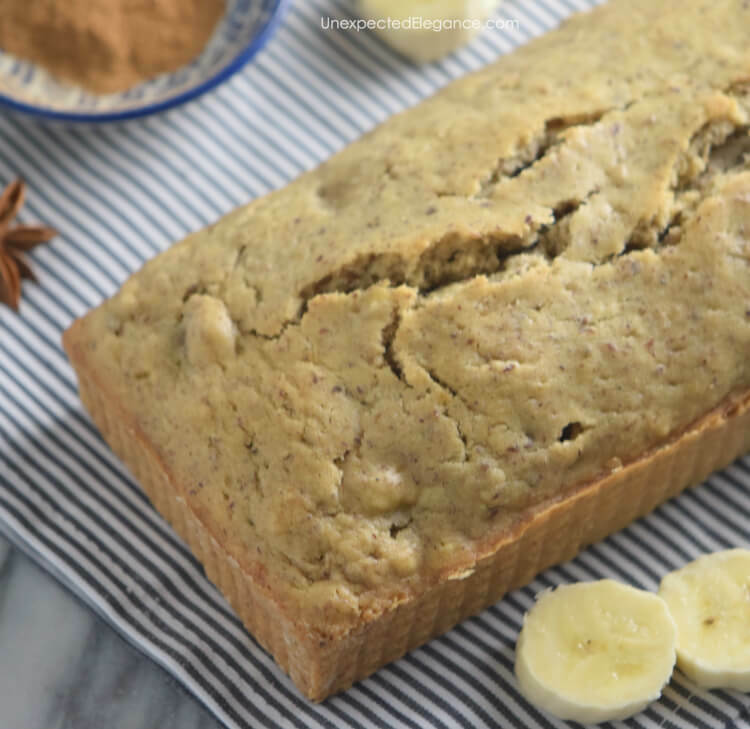 If you love bananas, you need to try this freezer friendly banana bread recipe. It’s great for a quick breakfast or when you need an unexpected dessert! 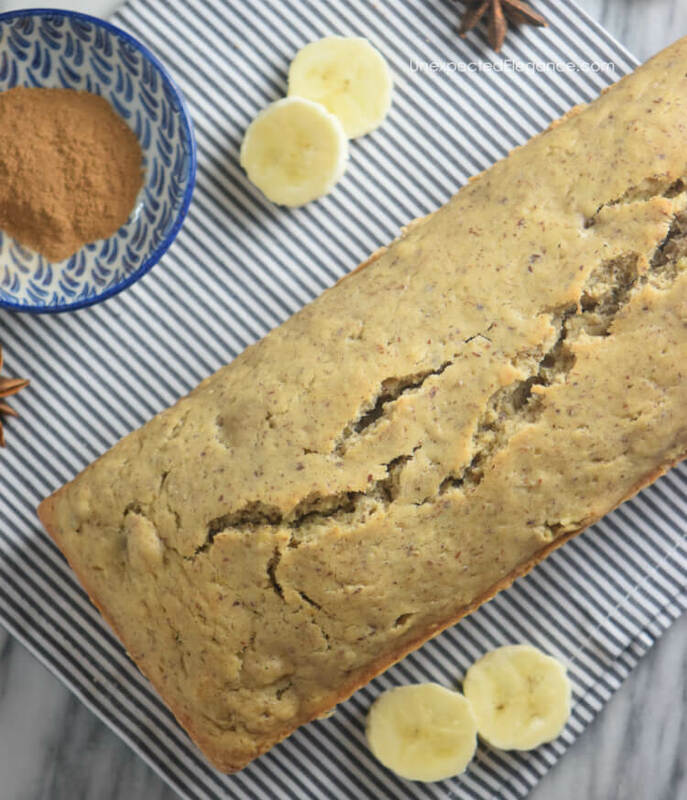 I love banana bread…especially for breakfast! The problem is that when I want it, I don’t always have the time to make it. 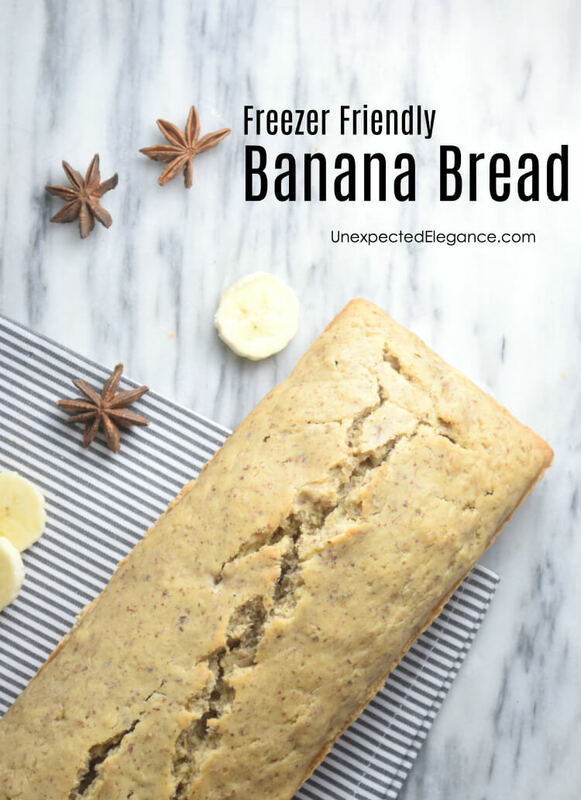 That’s why I love this recipe for freezer friendly banana bread. When I want a quick and delicious breakfast, I just pull it out of the freezer! The other version of this is my banana bread with Einkorn flour. They do taste slightly different and I love both recipes. The Einkorn version has nuts but you could also add them to this recipe. It is best if you can plan ahead a little and take it out of the freezer about 3 hours before you want to eat. However, there have been many times that I haven’t had that luxury. If you want to eat it immediately, just CAREFULLY cut off a piece and warm it in the microwave on the defrost setting for 30 seconds-1 minute. Preheat the oven to 350 degrees. Grease and flour a baking pan and set aside for later. In a bowl combine the oil, the eggs, the yolk, the vanilla extract and the banana. Mix well. Incorporate the sugar, the baking powder, and the cinnamon. Add half the flour and mix. Pour the yogurt and whip up until incorporated. Finish mixing in the rest of the flour. Pour the batter into the prepared baking pan and take to the oven. Bake for 35 minutes or until done. Let it cool completely. Tightly wrap in plastic wrap and place inside a freezer friendly plastic container. When ready to eat take out of the freezer 3 hours ahead. This banana bread looks amazing. Always love making different recipes that looks mouthwatering. Gotta make! Thanks for sharing.